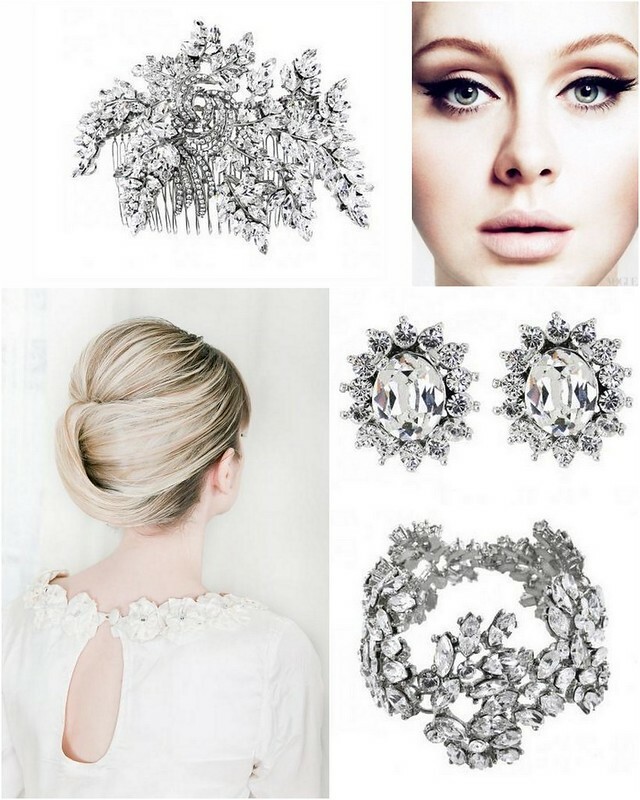 Wondering how you can enhance your chic, modern bridal style while maintaining a timeless, elegant feel? Begin by creating a beautiful balance of classic and contemporary through hair and makeup. Focus on a fresh-faced palate, then add a bold pop of lip color or touch of drama at the eye. As for your ‘do, think clean, but striking, like a sculpture at the Museum of Modern Art. 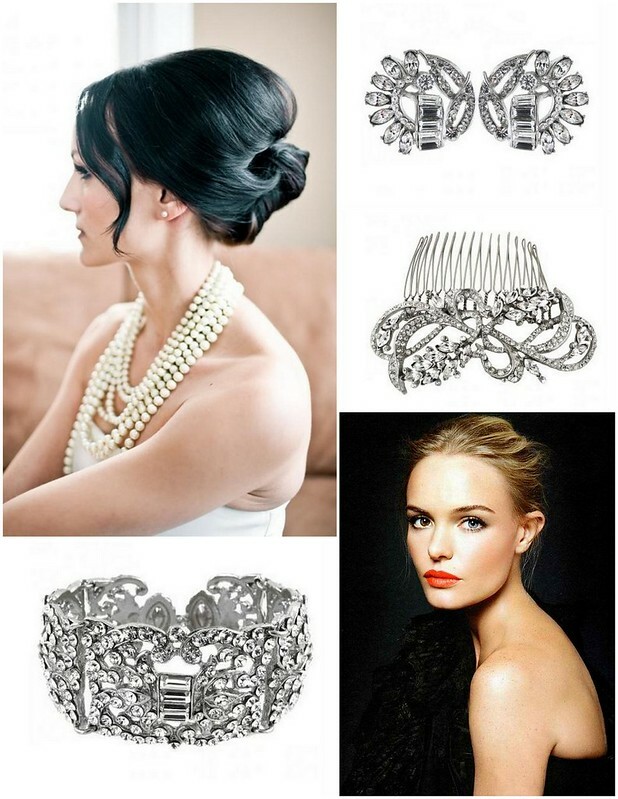 Round out your bridal look with gorgeous accessories that offer a twist on traditional. Bold, architectural-inspired CZ earrings, runway-ready bracelets, and delicate crystal hair combs with an inventive take on customary motifs. To find just the right bridal accessories for your chic, modern wedding day look, visit us online or in Brooklyn at Bridal Styles Boutique! This entry was posted on Monday, April 29th, 2013 at 1:34 pm	and is filed under Inspiration. You can follow any responses to this entry through the RSS 2.0 feed. You can skip to the end and leave a response. Pinging is currently not allowed.